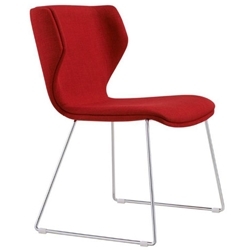 Stylish Visitor or Meeting room chair. Charcoal or Red stock fabric. Sled base finished in Chrome.